Charlotte, NC, March 13, 2018 – Pappas Properties announced that senior housing development expert Laurel Street is building 108 senior living apartments at Berewick on approximately 6.5 acres of land. Laurel Street has broken ground and expects the project to be complete in late Spring 2019. The Laurel Street property is called Belvedere at Berewick and will be located on Dixie River Road just before Berewick Elementary School. The property will serve adults over 55 years of age and will offer monthly rents ranging from $1,100 to $1,500. Dionne Nelson, president and CEO of Laurel Street, says she feels the senior living will add to the dynamic residential options at Berewick. “With so many families in the Berewick community and surrounding area, we see a strong demand for senior living,” said Nelson. Belvedere at Berewick will bring the same high quality living that Laurel Street has brought to other communities and will provide luxurious finishes and amenities such as a community kitchen, fitness center and cyber café. The 1- and 2-bedroom apartment homes will feature granite countertops, designer cabinetry and wood-style durable vinyl plank flooring. Interested parties can register for more information, when available, at www.belvedereatberewick.com. Belvedere at Berewick will sit on Dixie River Road north of the Berewick Town Center, anchored by a 53,000-square-foot Harris Teeter at the corner of Steele Creek Road and Shopton Road West. The Center also features an already-open Walgreen’s, Wendy’s, TCBY, Jersey Mike’s, Enrico’s Italian and, currently under construction, a 135-room Hampton Inn and Suites. Brian Roth of Pappas Properties brokered the transaction. Berewick is a 1,200-acre master-planned community located in Southwest Charlotte off of Steele Creek Road. The community offers a variety of activities and amenities to its residents. The centerpiece of the community features a 5,200 square foot Manor House with a fitness center and large pool area and also staffs an on-site activities director. Within the community are more than 300 acres of green space with ponds and walking trails. The community will eventually be home to multiple large Town Centers with shops and restaurants. Berewick’s location puts the community within minutes to major interstates I-485, I-85 and I-77. It’s also located close to uptown Charlotte and Charlotte Douglas International Airport. Additionally, boaters and fishing enthusiasts are only ten minutes from Lake Wylie. Laurel Street is a leading multifamily residential development company experienced in developing high-quality communities for working families and seniors. Headquartered in Charlotte, N.C., the company has a current development portfolio of more than 2,100 units valued at more than $260 million. For more information, visit www.laurelstreetres.com. 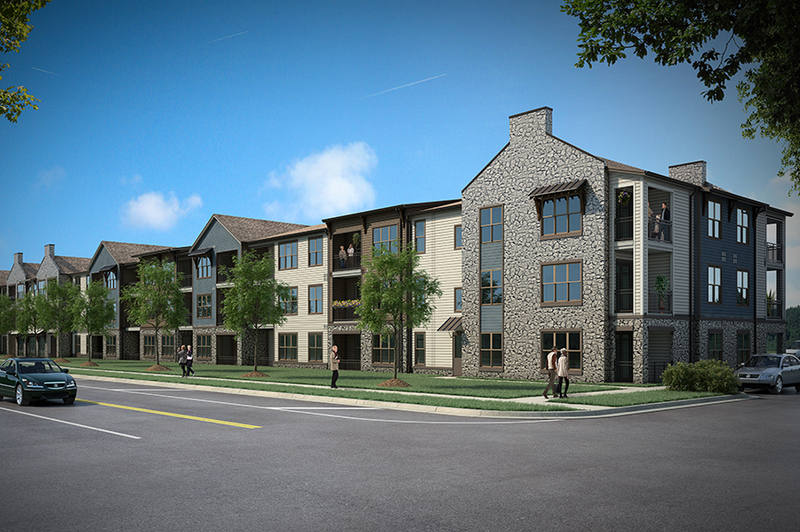 Pappas Properties is a Charlotte-based regional developer of commercial, mixed-use and residential communities. Founded in 1999, Pappas has created nationally recognized projects including Birkdale Village, Metropolitan and Phillips Place. 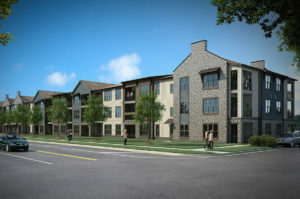 Current Pappas developments include Sharon Square, the Berewick masterplanned community, Berewick Town Center and the redevelopment of the CRRA site at Midtown.